What would Don Quixote think? Do you love surrounding yourself with rich history and vibrant scenery on your vacations? That's just what we have been doing, on this amazing AMA Waterways river cruise through The Netherlands and Belgium during tulip season. On Friday, I'll be up close and personal to this village of Kinderdijk, nestled in the south of Holland just a stone’s throw from Rotterdam. This is every storybook image you have ever had, come true. 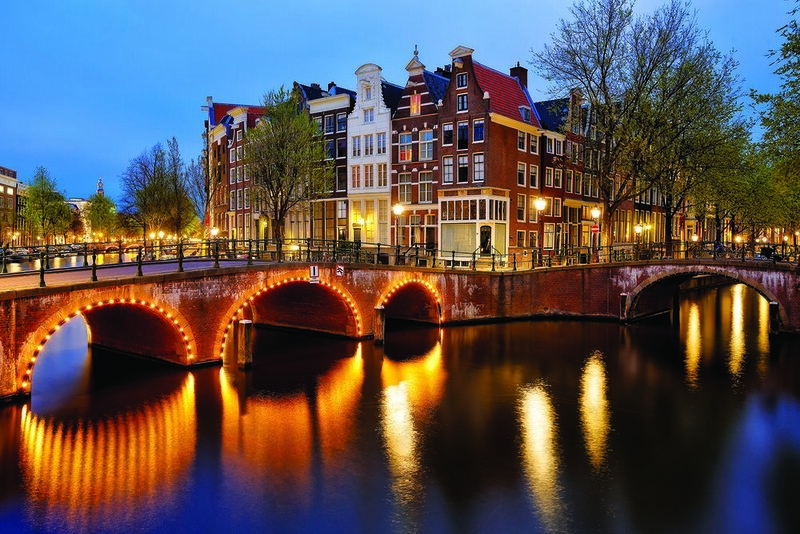 It offers everything you want for the ideal Dutch experience. If the rain holds, I plan to bike through this. It couldn't be more magical. Here's what I'm looking forward to experiencing. Kinderdijk is built in a “polder,” which is an area with no natural connection to outside water source. Originally a wetland, the area was drained by 19 windmills built around 1740, which are still working to this day to prevent the site from flooding – although they have a little help from automated systems and modern pumping stations! This charming village has the largest concentration of historic windmills in the Netherlands, and they are quite the spectacle! So much so that they were declared a World Heritage site in 1997. Incredible Views as Far as the Eye can See! The historic windmills are surrounded by thousands of brightly colored tulips at peak season, creating a view that looks like it has leaped off of a canvas! This gorgeous scenery has been the influence of many painters and photographers – be sure to bring your camera with you to capture a shot of the windmills! Kinderdijk is easy to get around; you can see all of the beautiful sights on a leisurely walk around the windmills, by taking a bicycle ride down by the canals, or for those with more luxurious tastes, see it all on a horse-drawn tram ride for sightseeing in style. Keep an eye out for some fantastic wildlife, too; foxes, martens, and the endangered purple heron can all be spotted here! There’s Always Something Good to Eat! When traveling abroad, one of the most exciting things to do is sample the local cuisine, and Kinderdijk does not disappoint! You can round off your day with some delicious foods – try a warm and gooey Stroopwafel, some young Gouda cheese in a sandwich with dark bread, or Bitterballen, a crunchy, savory snack made with chopped beef, butter, flour, and a blend of herbs and spices. Visit The Molenhok restaurant for a cozy, casual dining experience, or The Grand Café Buena Vista for international flavor. Surrounded by waterways, Kinderdijk has an abundance of fresh seafood, with fish dishes for every taste. Top your meal off with a scrumptious hot chocolate – or a Heineken! Kinderdijk is easy to get to, no matter where you are staying in Holland. Ideal for a day trip, it is close to both Rotterdam (which can be cycled to!) and Dordrecht, Holland’s oldest city. Tulip season is only about 6 weeks and sells out early. If this is your bucket list item, we should book you now for 2019.